All the pets at the animal shelter have been adopted except for Felipe and Claudette. Felipe, a bit of a grump, is convinced that Claudette, who barks and snores a lot and always has food stuck to her nose, is the reason why. In spite of their differences, the pair eventually realizes how much they need each other. This is a sweet story of friendship about two pets with lots of personality. The illustrations add humor to the story. In the fourth book in the Fenway and Hattie series, Fenway accompanies Hattie and her family on a camping trip. Both Fenway and Hattie deal with challenges related to fitting in and making friends. Fenway is as adventurous, loyal, and lovable as in the previous books in the series. If you haven't read any of the books in the series, they are told from the perspective of Fenway and are a lot of fun. Thanks to the author for an advance reader's copy of the book. It publishes in May. Jingwen and his younger brother, Yanghao, have moved to Australia with their mother. Not being able to speak the language of his classmates, Jingwen feels like a martian. He also thinks his brother can be a little annoying and it doesn't help that Yanghao has an easier time learning English and making friends. While their mother is at work, the boys bake cakes. Baking the cakes is especially important to Jingwen because they remind him of his father, who died before they moved, and he thinks cooking them will fix everything. Jingwen will go to any lengths to continue baking even if it means disobeying his mother. Jingwen's story is sad, but there is humor, as well. The illustrations are really unique. Thanks to the author and publisher for providing my book review group, #BookExcursion, with an advance reader's copy. LOVE Mark Teague! Can't wait to get my paws on this new book!!! Well, each one sounds good, Lisa, but that last one seems like one that everyone should read, a taste of what immigrants face in their new countries. Thanks! I'm particularly interested in Pie in the Sky, the majority of the kids I work with are recent immigrants from China, and I think Jingwen's experiences could really resonate with many of them, even if the setting is Australia, rather than Canada. Anything Mark Teague writes is sure to be worth reading! I am almost embarrassed to admit that I have not read one Fenway and Hattie book! 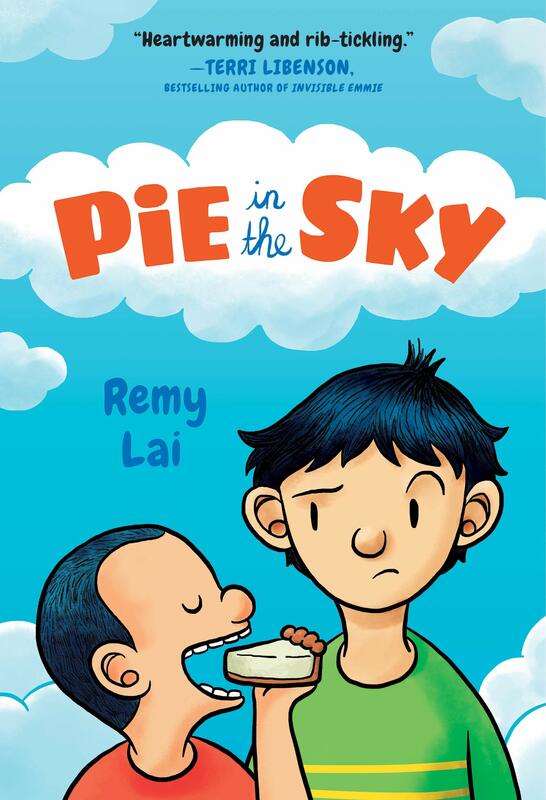 Pie in the Sky sounds just like the kind of realistic MG fiction I adore. Have added it to the list and put a reserve on it. 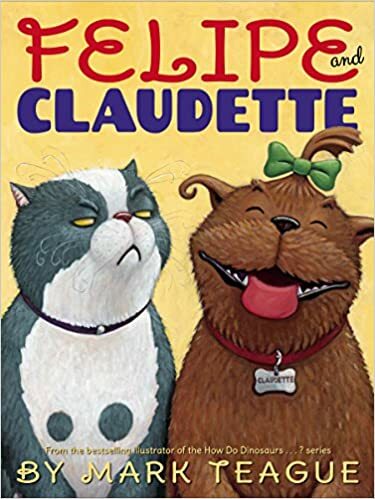 I just LOVE that cover of Felipe and Claudette. I'll have to find this one just as soon as it's available here! And Pie in the Sky looks really good. I'll admit, the first time I saw this cover, I thought it was a picture book. I mean like a 40-paged children's book. After reading the synopsis, I really hope to read it this year (not to mention, my family lived in Australia before I was born). Thanks for all the shares, Lisa! Fenway and Hattie is such a fun series! Can't wait to read the next one! I just love the Fenway and Hattie series and this final book was my favorite. Felipe and Claudette is new to me so thanks for the recommendation. Pie in the Sky provided a different perspective with Jingwen sharing his experiences moving to a new country. Have a great week! Fenway and Pie are both middle grade books I really want to get to! I really liked Felipe and Claudette, but I am a pretty big fan of Teague's art. Oh wow, these are all unfamiliar titles to me - thanks so much for sharing. The Mark Teague book looks fun - it reminded me of his Dear Mrs. La Rue series.